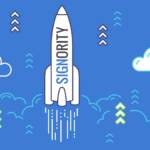 Company Branding allows you to take control and add your company logo to Signority’s email notifications and on the document signing page. Branding & customization is available to Pro and Business Plan users. 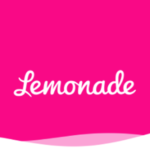 On the Company Branding page, there are a few things that are customizable. We’ll go through that in this post! 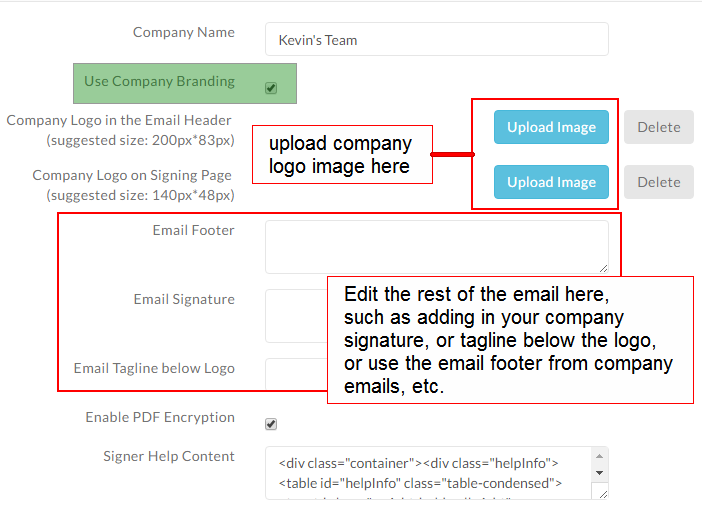 Company logos can be used in email notifications and on the signing page for your documents. You can upload images of any size, and Signority will resize them as needed. Just check the Use Company Branding option and then upload the image of your logo from your computer. The logo for the email header will be shown in the invitation and notification emails. While the logo for the signing page will be shown for when they access the signing page and for the template link access page. The email footer, email signature and email tagline in all email notifications can be customized through Company Branding. This will be applied to all your team members. At the moment, we recommend sending a document to yourself as a test. You can then view the emails and signing page to make sure everything looks perfect! Then make any minor changes you want. This option is only available to Enterprise users. For Enterprise users, they are able to customize a few extra settings. The first is the custom Terms of Service. This will require some extra fees and requires a custom account to enable this option. Please contact our sales team if you have any further questions. For SMTP customization, this is customizable by anyone with an Enterprise admin account. Change the SMTP Provider Type to Team Customized SMTP. Then enter the remaining information with your custom SMTP settings. If you are unsure of what these settings are, contact your IT team for more information! 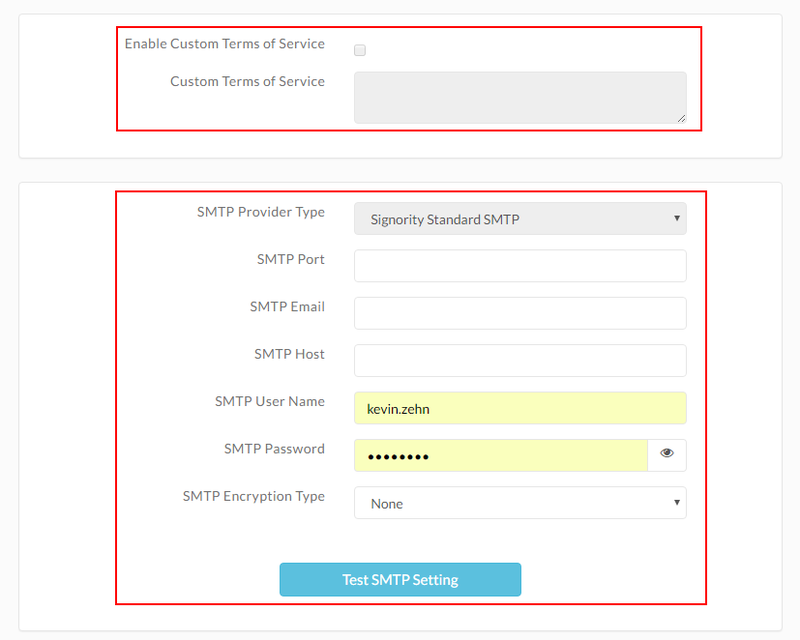 When you send a document with Signority, the invitation and notification emails will come from your SMTP Email instead of the secure@signority.com email address that it normally comes from. That’s it for custom company branding settings! Try it out and promote your company even during the signing process!